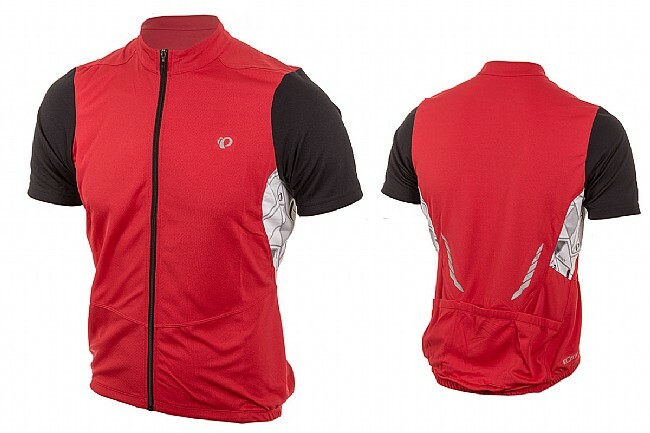 Pearl Izumi's Attack Jersey utilizes Select Transfer fabric to provide superior moisture management to keep you comfortable during hard efforts without breaking the bank. 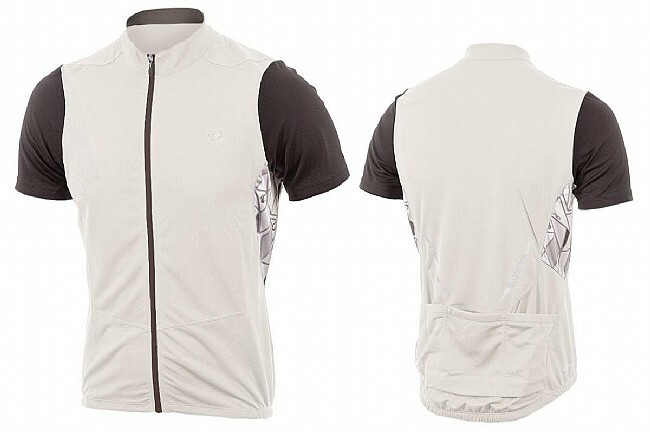 Thoughtful features like a full-length front zipper for on-the-go ventilation and an elasticized gripper on the back hem make this jersey a no-brainer for rides of any length. Three back pockets hold your stuff. Reflective elements provide extra low-light visibility. UPF 50+ protection. Semi-form fit. Great jersey. Pockets are easy to reach, zipper is extended so that it's easy to use while riding, and it has little rubberized strips that stop it from riding up. The shoulders don't have any seams that bunch up and bother you. It also has reflective elements for low-light visibility, a nice feature for when you forget your light. The texture is very gauze-like, so it's definitely a good one for riding in the heat. The white is a bit thin, however, with my bibs clearly visible through the material. I love my Pearl Izumi jersey. The fitting chart on-line made it easy and it's a perfect fit.